Sean Williams is a #1 New York Times-bestselling author of over one hundred and twenty short stories for adults, young adults and children. 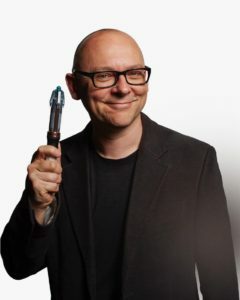 As well as his original fiction, he has contributed to shared universes such as Star Wars and Doctor Who and collaborated with other writers. 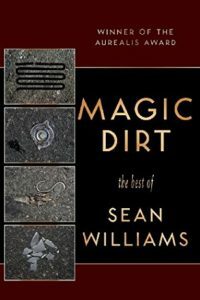 His short stories have been gathered into six collections, including Magic Dirt: The Best of Sean Williams, which won the 2008 Aurealis Award for Best Collection. He lives in Adelaide with his wife and family and a pet plastic fish. Sean will be joined by Lisa L. Hannett to discuss ‘Speculative fiction’ and the short story on Saturday Nov 4 at 9:30am, and ‘The spaces in between’ with Alex Skovron at 11:50am on Sunday Nov 5. Need a place to stay in Adelaide?